Hylands House, in Chelmsford, Essex, is a stunning Grade II* listed property, spectacularly restored to its former glory and situated in 574 acres of historic landscaped parkland. Offering peace and tranquility on your doorstep, and conveniently located just seconds from the A12, Hylands House provides a stunning setting for conferences, seminars and functions. OPEN Health is a family of expert practices, working in partnership to drive positive change in healthcare communications & market access. About Dovetail We’re award-winning specialists in healthcare collaboration that makes patients’ lives better. Combining expertise with a passion for collaboration, we enable joint working that builds trust, sparks innovation and transforms health outcomes. We’re a specialist-led, unified communications agency delivering connected healthcare communications, informed through fresh insights, smart thinking and inspired ideas. Our collaborative cross-discipline approach enables us to create engaging, effective and measurable campaigns across channels to deliver distinctive solutions at every stage of a product’s lifecycle. Videum Health is a premium video platform that offers brands innovative engagement strategies to reach targeted healthcare audiences on a global scale. We also syndicate our video library in partnership with, and on leading health & medical websites, social networks, and other platforms where healthcare professionals (HCP) & consumers seek relevant content in any language. Syneos Health™ is the only fully integrated biopharmaceutical solutions organization. Our company, including a Contract Research Organization (CRO) and Contract Commercial Organization (CCO), is purpose-built to accelerate customer performance to address modern market realities. Created through the merger of two industry leading companies – INC Research and inVentiv Health – we bring together more than 21,000 clinical and commercial minds with the ability to support customers in more than 110 countries. Together we share insights, use the latest technologies and apply advanced business practices to speed our customers’ delivery of important therapies to patients. To learn more about how we are shortening the distance from lab to life visit SyneosHealth.com. 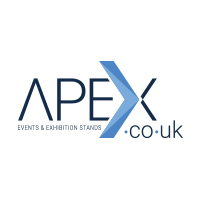 Apex.co.uk is one of the UK’s leading event and exhibition agencies, specialising in healthcare. We understand your communication goals, whether through creative worldwide exhibition stands, product launch and sales conferences, awards dinners or professional relations events. Synergy Vision believe in delivering medical communications that make a difference to healthcare professionals and patients. Our synergy of pharma and agency experience means that we understand our clients and can deliver bespoke medical communications. 90TEN is an award-winning healthcare communications consultancy that puts people at the heart of everything we do. Our Life.Changing. campaigns are designed to make a difference by improving outcomes for patients, health professionals and clients. We help people understand health and science, access the treatments they need and prescribe medicines that change patients’ lives. Our team of experienced strategists, media experts, scientists, medical writers, creatives, digital gurus, psychologists, account handlers, policy experts and editors live and breathe behaviour change. Ashfield, part of UDG Healthcare plc, is a global leader in commercialisation services for the healthcare industry. We partner with our clients across Advisory, Healthcare Communications, Commercial, Patient Solutions and Medical Affairs to build tailored health solutions to deliver positive outcomes for patients.